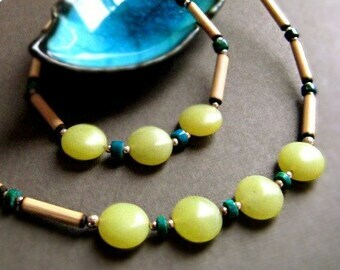 This Turquoise necklace was inspired by the Amazon rainforest of Peru. 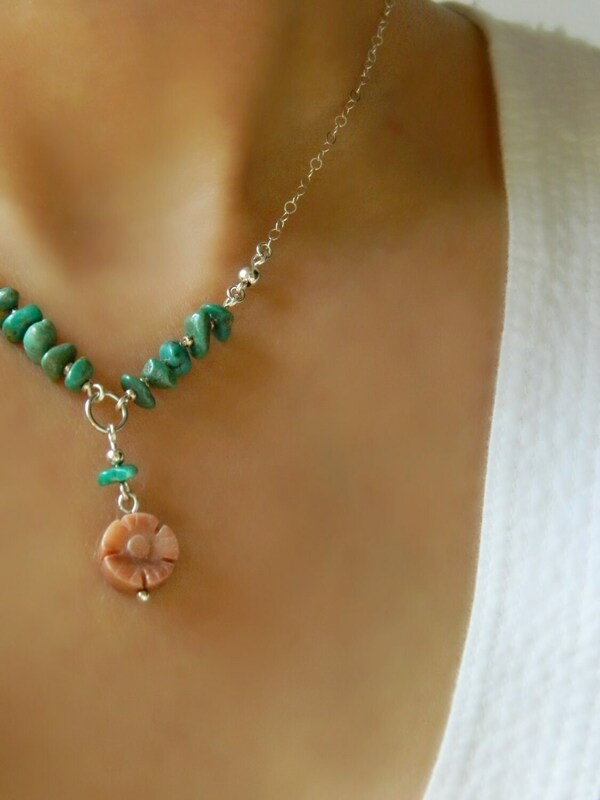 I paired small rounded semi-precious Turquoise pebbles in a variety of lush green hues with a carved semi-precious Aventurine flower in a nectarine orange color. Each of the Turquoise pebbles are separated by tiny handmade rings from Peru made with 950 silver. 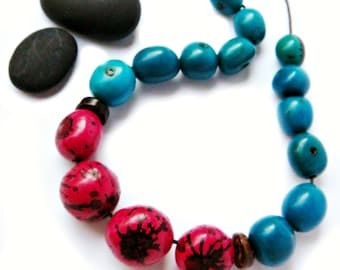 A medium sterling silver bead finishes the end of each row of Turquoise pebbles. The semi-precious carved flower is attached with fine silver and a small sterling silver bead and pebble above it. All other metal is sterling silver. Your Amazon Flower necklace will arrive beautifully wrapped. There are matching earrings available in a separate listing. If you would like to purchase the necklace and earrings please contact me for a special discount. The above necklace is a size small if you need a longer length please contact me.